Apply12 fine subtitle animation effects. Adjust the speed for video playing. Apply 38 transition effects to videos and photos. 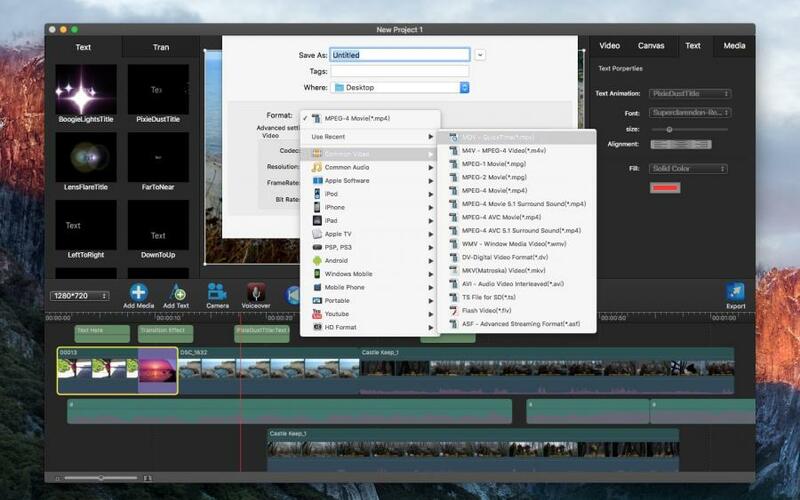 Export your videos to all populate format. Movie Edit Pro is a professional video editing software can made a fantastic family movie from your camcorder videos. It is really easy to use and quite useful for those who like shooting videos. 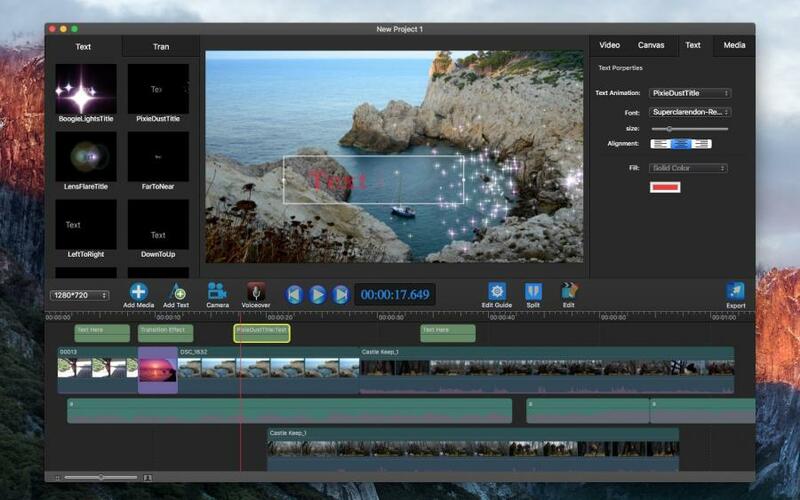 Movie Edit Pro is a video editing software can help you to edit, merge and retouch videos. The editing functions contain trimming, cropping,Splitting, rotating, adding stylish subtitle, applying filter effects, inserting transition etc. You can voiceover for the video. 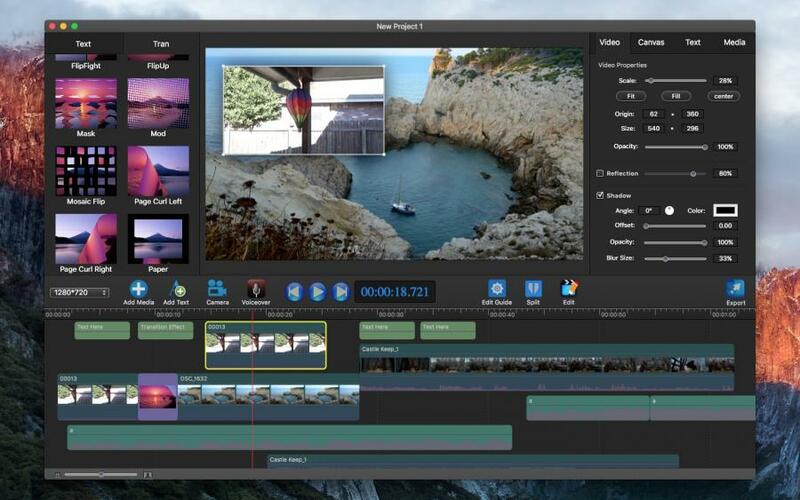 Furthermore, this professional video editor can export videos to various popular video formats and portable devices for sharing with family and friends, save to the local. *Export To Local - Save standard or high definition movies to Mac hard disk for editing or sharing. *Export To iTunes -Save standard or high definition movies to iTunes. 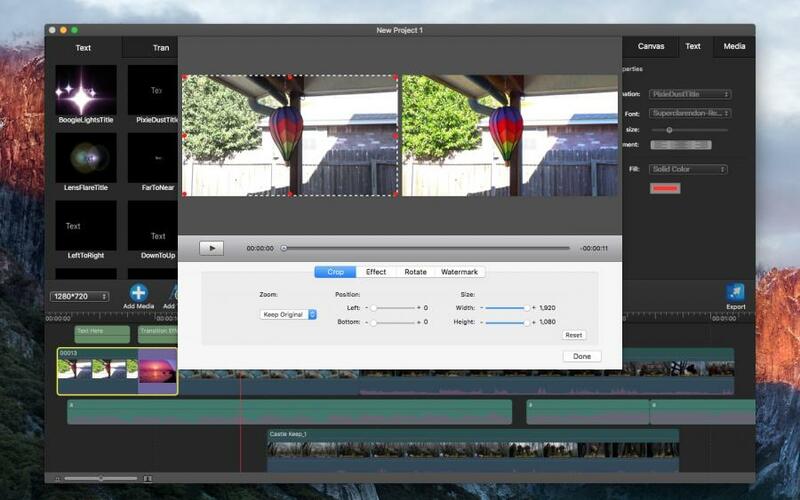 • Assemble clips in the Timeline without clip collisions or sync problems. • Trim, crop, rotate and split videos to achieve the best overall video effects. • Choose from 24+ professional filters to add special and artistic effects to videos, Custom the filter by Property（Brightness, Saturation, Contrast, Hue). 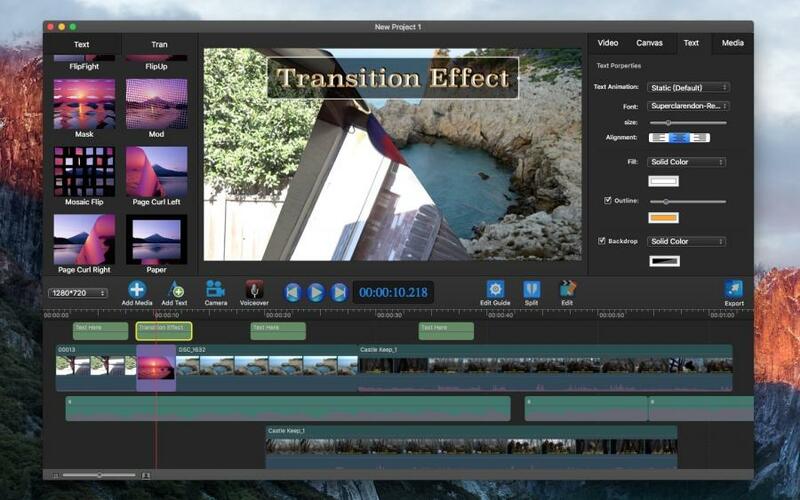 • Apply 38 transition effects to videos and photos to achieve stunning movie effects instantly. • Adjust the speed for video playing, part of your video playing more slow or faster. • Detach audio from video. • Custom the background of your video. • voiceover for the video. • Apply12 fine subtitle animation effects to your video. • Adjust subtitle show time in the timeline. • Drag to change the location of the subtitle. • Auto save the project when closing window. Note: If you have some problems, please send an email to utteam@126.com I will solve these issues as quickly as possible.